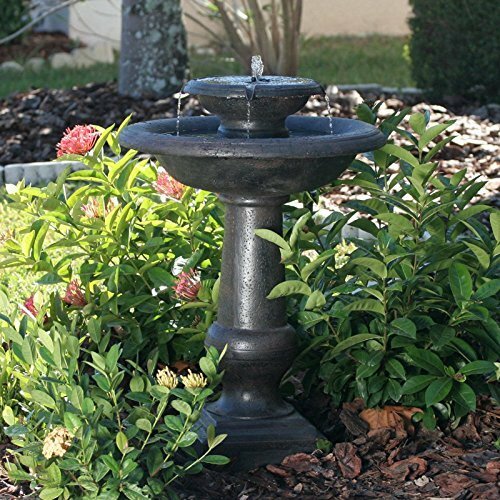 Most Beautiful Top Selling Home Garden Yard Solar Powered Outdoor Water Fountain- Relaxing Soothing Two Level Tiered Design With Mini-Waterfalls- Oiled Bronze Finish Elegant Design | Fountain City Art Ctr. If you have any questions about this product by Garden Style, contact us by completing and submitting the form below. If you are looking for a specif part number, please include it with your message.